This entry was posted in Family Law and tagged child arrangments, Child Custody, court, DRN, family law, legal aid, mediation on 22nd January 2019 by Nicola Barrow. Staying together isn’t possible for every family. Even though it’s a difficult situation, sometimes separating is necessary in order for everyone to live happily, sometimes parents have never lived together. At DRN, our clients are often separated parents and want to do the right thing by their children, and our family solicitors are trained to give advice on child arrangements that is practical and straightforward. Our guidance comes from years of experience in family law, and our family solicitors work sensitively with separated families and their children to make sure the best possible agreement is reached. To agree, whether in person or through a mediator, on the arrangements for your child can seem an impossible task, but we are here to help. The Courts and family solicitors now refer to what used to be known as “child custody” as “child arrangements”. These arrangements are a broad description of how your child spends their time with you and the rest of their family. Children can enjoy spending time with a parent in person, by telephone, social media, letter or any other method which is reasonable and allows the child and parent to stay in ‘contact’. Each child and family will have different needs depending on their own circumstances, including but not limited to the children’s ages, needs, wishes and feelings. Contact can take place in different forms and will vary with each family. Contact can be for short periods of time for example during the day, or cover long periods of time over a number of days and possibly weeks. It can take place in a variety of venues. A lot of children do stay overnight with the parent with whom they do not ‘live’ on a regular basis. A lot of separated parents are able to reach a mutual agreement about the arrangements for their child and are able to vary the arrangements as the child’s needs change. Other parents cannot for various reasons and do need specialist advice and assistance. If you would like help in reaching suitable arrangements for your child, then our family solicitors can help. Our solicitors can advise you on the most appropriate method to try to achieve an outcome. 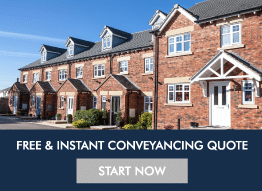 This may be by way of one of our solicitors negotiating on your behalf, setting out your position and the reasons why, if an agreement is reached by drafting an agreement setting out the arrangements which are to be put in place. Legal aid is available, but only in limited circumstances. You may be advised to attempt mediation with a view to resolving any disagreements. Family mediators are trained professionals, who help you discuss any issues, let you both have your say and try to help reach an agreement. Mediation can work, even where the parties initially have very differing views. Mediation is not appropriate in situations where there has been any form of domestic abuse. The mediator will assess whether the case is suitable for mediation. Legal aid is available to assist with the costs of mediation where one or both parties are on a low income. If solicitor negotiation and mediation are not successful or are unsuitable then an application to court may be necessary. Court applications should only be made when all other options are unsuitable or have failed. Court proceedings can take time and be costly, and you may end up in a situation where the court has made a decision that you do not want. The court whether a bench of magistrates or judge will encourage you to reach an agreement, if you cannot agree then the court will determine what if any evidence is required and how the case will proceed. The court will then make a decision about what the arrangements for your child should be to live with and spend time with you and the other parent. In deciding the arrangements, the court will decide what they believe the best interests of your child to be.